The year is 2019, and full-length album from Jay Electronica still has yet to surface despite the occasional teaser from the elusive MC. Now, he's revealed that a future release could be a collaborative project alongside JAY-Z. 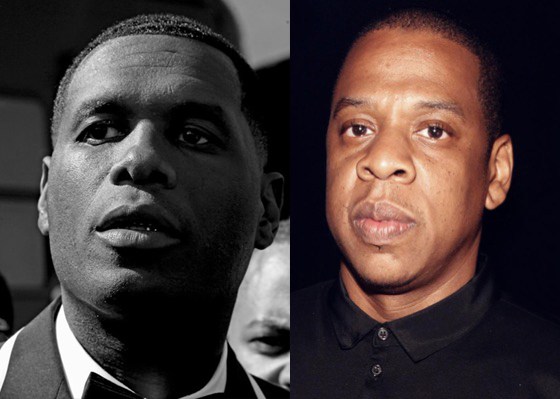 Jay Electronica hinted at the possibility of a team-up with the Roc Nation founder in a Q&A session with his Instagram followers Tuesday night (March 19). When asked if he was at work on a project with JAY-Z, he replied "possible. likely." As vague as that answer appears, Jay Elec was more forthright in answering the question of whether any new material would arrive in 2019 at all. To that, he simply replied, "yes." You can find both his answers archived below. Of course, it was only last year that the pair officially released their The-Dream-assisted single "Shiny Suit Theory" through JAY-Z's Tidal streaming service. Last year also saw Jay Electronica appear on Poo Bear's album Poo Bear Presents Bearthday Music. He also teased a new track produced by the Alchemist in a now-deleted Instagram post.